As ambassadors of Christ, we have a responsibility to be mindful of both the spiritual and physical condition of our heart. Our Faith Community Nursing (FCN) ministry encourages our congregation to take a proactive, God-honoring approach to caring for our God-given bodies. Sponsoring the annual blood pressure screening is one way FCN would like to help! 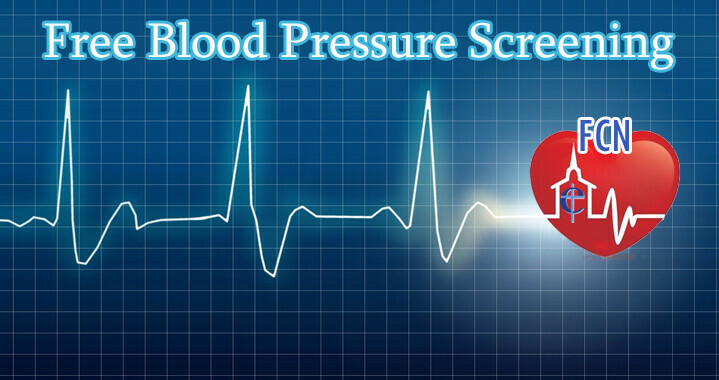 Coinciding with February being American Heart Month, the free blood pressure screening will take place TODAY after 1st and 2nd services. No sign-up is required! Please wear a short-sleeved or thin long-sleeved shirt for an accurate reading. Your blood pressure will be recorded on a wallet-sized card for your taking. Also, you’ll have a chance to meet the members of the FCN ministry! If you are unable to attend the screening on February 10, call the church office (452.6520) to make an appointment with a Faith Community Nurse to have your blood pressure taken.